BLACK HOLE REVIEWS: THE LIVING DEAD AT THE MANCHESTER MORGUE (1974) - bloody Italian zombie horror! 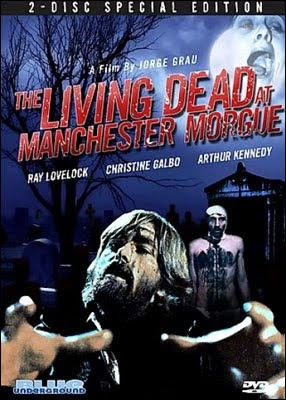 THE LIVING DEAD AT THE MANCHESTER MORGUE (1974) - bloody Italian zombie horror! Slow-moving undead, outbursts of graphic gore, gothic atmosphere... the next step forward from Night of the Living Dead in the evolution of zombie movies! For years, Italian movies were seen as thinly-disguised remakes of popular US hits. 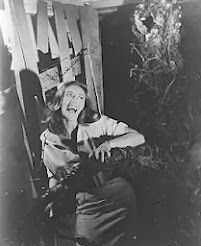 Certainly the intention here was to remake Night of the Living Dead, (according to an interview in the DVD extras), but the result is a very different zombie movie, mostly because director Jorge Frau wanted something more original. The result is similar in setting to Lucio Fulci's City of the Living Dead (1980) and is at times as violent as Dawn, or even Day of the Dead. 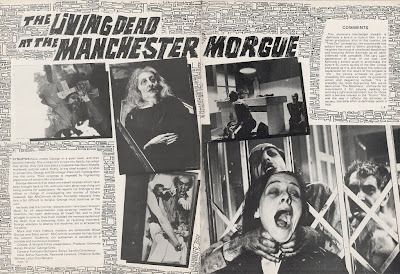 But crucially Manchester Morgue predates these films by several years. This is one of the first high-strength zombie films made in colour. Only Tombs of the Blind Dead (1971) comes close for creepy and gory action, but there the undead are more skeletal than zombie. 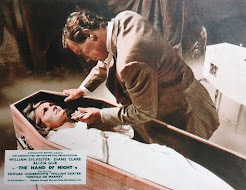 I was very aware of the film when it was released in the UK in 1975, because of the spread in World of Horror magazine (issue 7), which made it look rather fierce! But I only got to see it years later when it appeared on VHS, and then it didn't look so essential, with all the gore missing, a cropped aspect and a murky transfer. 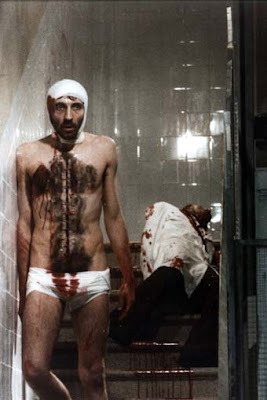 Since then, the film kept re-emerging in different countries, in various formats, under different titles with different amounts of uncensored gore. Seeing the new Blue Underground Special Edition has really opened my eyes to this movie. 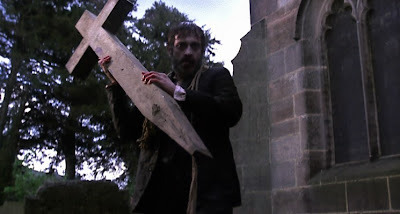 It's now not only a great zombie movie to watch, it's really early in the 'modern zombie' timeline, that started with Night of the Living Dead. The explicit brightly-coloured gut-ripping took zombie cinema to a new level, making it essential viewing. This was notably released halfway between Night and Dawn of the Dead, stealing some of Romero's thunder, not to mention leading the Italian zombie movie genre by several years. Dare I say, I might have been less impressed with Dawn of the Dead, if I'd seen Manchester Morgue when it was released. One of the most distracting things about Italian horrors is usually the dubbing. Here is a rare case where the revoicing improves the film. Ray Lovelock's Italian accent is replaced with a London one with a sarcastic tone that would feel at home in Shaun of the Dead. I'd really like to know who the voice actor is who dubbed him, he really helps the character. 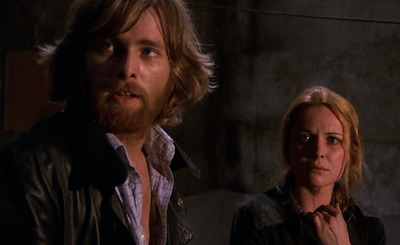 Like Al Cliver in Zombie Flesh Eaters, Lovelock (who can be seen beardless in The Cassandra Crossing) looks the part, acts the part more than convincingly, but their new voices seal the illusion that they're actually English-speaking! The combination results in a uniquely short-tempered, anti-establishment zombie fighter! The other unusual aspect that I really love is the use of the British countryside and the city of Manchester. It's always a thrill to see classic European horror films shot in England, an honour really! The key locations of the hospital and the church are made to look like the scariest places on Earth. I'd always thought that the interiors were filmed in real buildings until I saw the DVD extras, which confirm they were actually shot in Italy. A whole disc of DVD extras includes very watchable interviews about the making of the film and the make-up effects. There's an extensive tour of the original locations with the director himself. It's also great to finally have the film with the original UK title that I know and love (I already have the Anchor Bay edition called Let Sleeping Corpses Lie - here's a DVD Active review comparing the two releases). 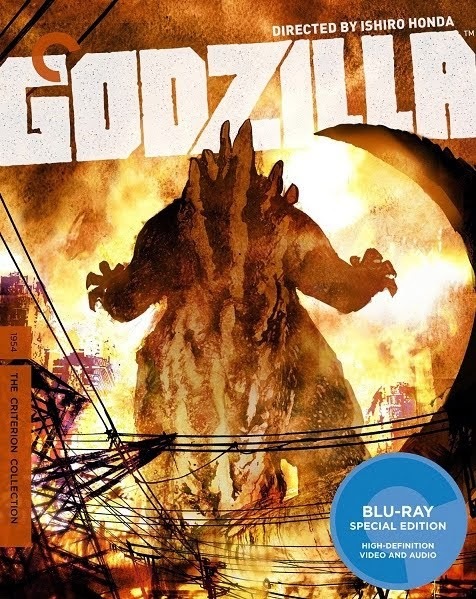 Blue Underground have also now released this new special edition on Blu-Ray. Wow, thanks for this review! Im a zombie nut, Ive seen hundreds of zombie movies but had never seen this one! This Undreground DVD that you mention, makes me want to buy this movie! Thanks for the review Black Hole. Im gonna be checking this one out soon! thanks Mark! i never even heard of this one. while i know the Romero Dead movies inside and out I'm sad to say the international zombie know how i have is spotty at best. have to look this one up. The best overview of all the zombie movies in the world is a book called ZOMBIEMANIA, if you fancy mopping up the more from the four corners of the globe. Great write-up on a zombie classic unfortunately too often forgotten. It's been a few years since I've seen it but I remember one great line: "Help! Dead people are trying to kill me!" This film is a masterpiece!..and the blu-ray sure does it justice..one of the best of the 70's.